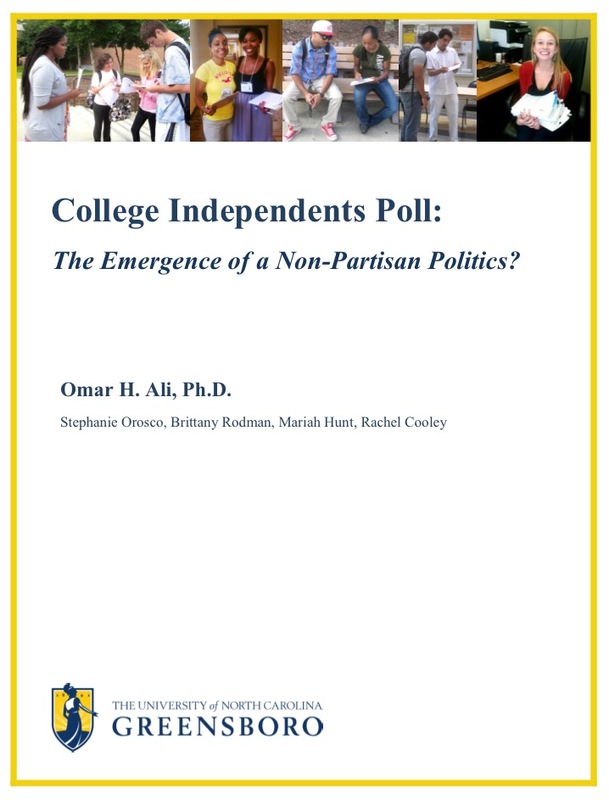 According to the latest national polls, independent voters comprise 42% of all voters in the U.S.; approximately 30% of African Americans self-identify as independent and 45% of young voters (18-29) also consider themselves independent. Who are these independents and what do they want? According to the Pew Center, independents are not “centrists,” as they are often characterized in the press; rather, they span the ideological spectrum and also cross racial, gender, and regional boundaries. African Americans have a long history of involvement in independent politics and third party movements (from the Liberty Party and the Abolitionist movement of the mid-nineteenth century to the Reform Party and the independent political movement of the late twentieth century). In North Carolina unaffiliated black voter registration increased 21.8 percent since 2008 to 184,927 (meanwhile white unaffiliated white voters increased 18.9 percent to 1.3 million over the same period). Today, there is a growing movement around the country not only in terms of independent voters self identifying as such (and registering as such), but growing recognition that the parties are themselves limiting of democracy (democratic participation and policy-making in the interests of voters, as opposed to the parties). This anti-partisan sentiment is beginning to be recognized among broader circles of people as the parties appear to be reaching their limits.